This bath/shower gel embodies everything that makes me weak at the knees, sparkles, lovely packaging, a sweet rich scent and of course a creamy texture. This was a gift from my best friend, and I am in love with it! The first thing that strikes you with this is definitely the packaging, the outer box is cute and fun and everything the child within me loves, but the bottle itself is chic and simple, so it’s the best of both worlds. 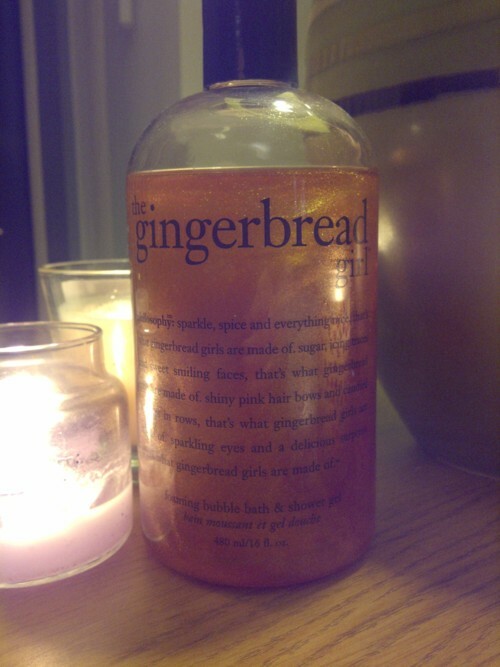 The smell of this in a bath is hands down the best thing in the world, I really am a bath girl and love doubling this up as a bubble bath then using it as a body wash, and the scent and glow of the product clings to your skin for so long afterwards, the perfect night time treat! I’m sure that you will all agree that with winter, comes dry skin, admittedly this is a first for me! As you know I have an ongoing war with my oily skin, but this winter things have changed, for the first time in my life I actually have dry skin?! However, this has hardly left me rejoicing, in fact its left me with nothing but a dark fear that this may well be my skin maturing, oh no. Ramble aside, I’ve kept the dryness at bay by treating myself to this weekly thirsty skin treat! This really is a great product, although its formulated for dry skin, it still has a light lotion like feel to it, and it doesn’t harden on the skin. You simply apply a generous layer, relax and then what hasn’t absorbed into your skin, you simply wipe off with some toner. 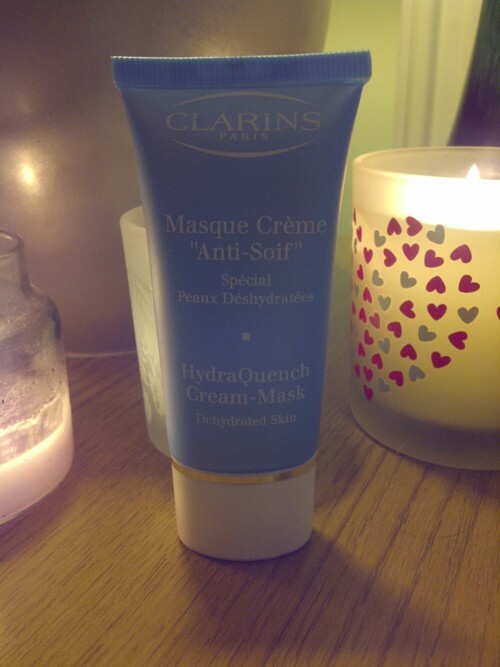 This is one of the only face masks that I personally notice an immediate difference with, and usually if you buy skincare items at a Clarins counter they give you samples of this free, so it’s worth popping along and asking for a sample. 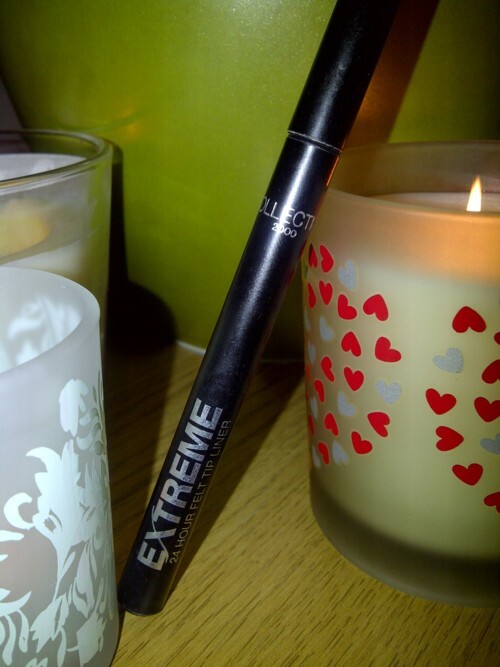 I’m a bit of an eye liner queen, it’s a rare day when I’m seen without any at all, so I’d ran out of my beloved Elizabeth Arden gel liner, and wanted to try something new, so to tide me over until id found ‘the one’ I just grabbed this in boots on a quick toiletries shop…and boy am I glad I did! This product is amazing. Probably the best £2.99 I’ve ever spent. The application is just a dream and the pigmentation is bold and sharp, where has this eyeliner been all my life?! This may seem a bit random for some of you, but these lip balms, in my opinion, are the best in the business. I have literally tried every lip balm on the market and nothing has the same effect on my lips as this does. 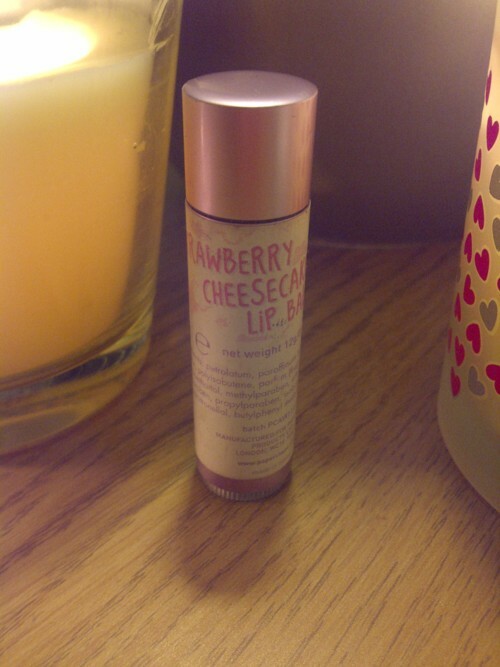 This is now my second one (which was a lovely stocking filler from Santa) and I’ve already nearly used it up as it is just wonderful, its a gorgeous creamy matte texture that really moisturises your lips, to the extent that after the first application you notice the difference. I love layering this over lipsticks as its matte texture means it doesn’t change the lipstick, and makes my lips look full and healthy! One of the best things about growing up is the appreciation you get for candles. I am a total candle lover, no matter the price or scent I love them all, so when I was presented with a candle made by one of my favourite fashion labels…it was love at first sight, or should I say smell? 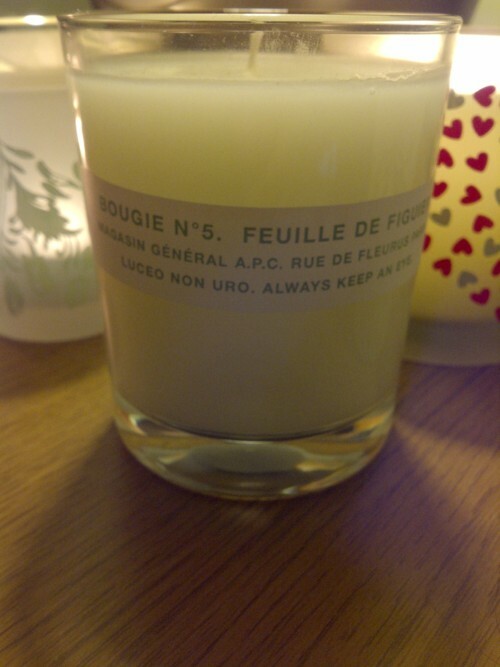 Not only does this understated beauty smell good it also looks the part, so chic and classy, this is definitely the right candle for those of you who share your room/house/flat with a man as it’s a really unisex design and scent. I’ve still not lit this yet as I want to use up my more Christmassy scented candles first…and I really don’t want this to ever run out as it smells so lovely ha ha. However, even unlit it still looks the part and fills my room with the gorgeous scent. Probably my favourite gift ever…didn’t my man do good this Christmas? I’m not really one for obvious branding, hence my love for labels such as APC, ACNE and Mulberry, I prefer understated branding, on simple pieces. And nothing is more elegant than these beauties. Given the fact that I also think I’m a bit of a hippie at heart the peace, love and Mulberry logos suit me to a tee, I literally haven’t had these off (although I wont lie, with every bump of my arm I’m frantically checking they are unharmed…a little too much? Maybe) obviously these were a very generous gift, but there are lots of high street adaptations of these, there are lovely ones from urban outfitters! I’m definitely a gold girl, I wish I could get into silver as I feel it looks really cool, but I just love the vintage look of gold jewellery. So there you go my lovelies, my first favourites post of the year! Let me know everything you’ve been loving in February and as always thanks for reading! 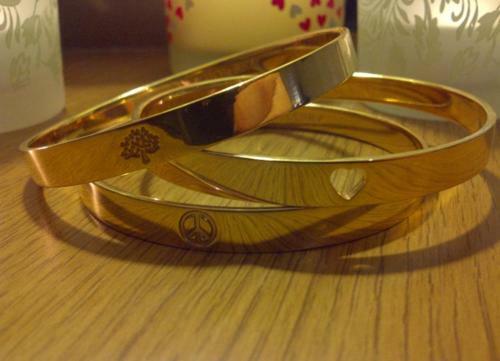 Love your Mulberry bracelets, although mind you I like most things Mulberry! Just wish I could afford it! Haven't tried anything from Philosophy yet, really mus do as everytime I have had a sniff of their scents they smell amazing.